Out the front of the now closed HSBC building this morning will be a council display showing Sutton council's long term plans for the next 15 years. 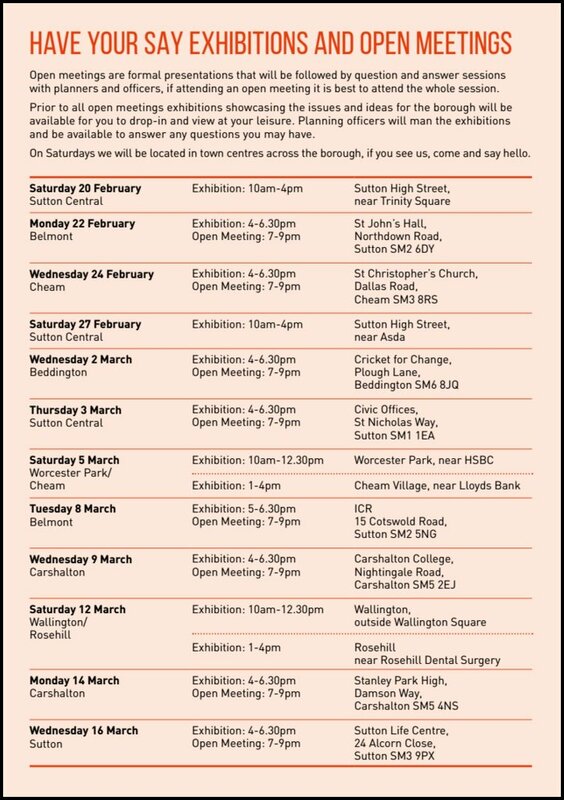 There will be council officers to speak to and they are offering local people to chance to have a look and comment on the plans as they currently stand. 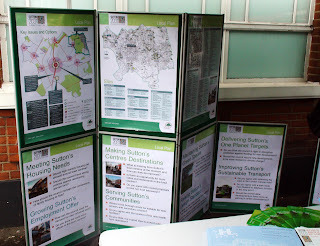 The idea is that once the plans have been approved by the council, they will become something that can be cited by the council planning department when advising on, and deciding whether to allow the various planning applications that will be lodged over the next 15 years. Plans that chime with the council's plans will be more likely to be granted than plans which go against them. Part of this is to help identify areas that could be turned into residential housing as apparently all London boroughs are being asked to increase housing by a rate 1000 homes per year. 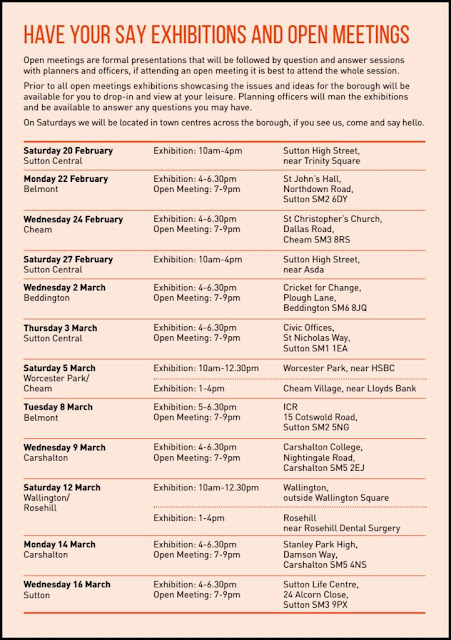 So this is your chance to have a look and have your say on how things might develop in the area over then next 15 years. The display will be there for two and a half hours from 10am 'til 12:30pm. Go along and have your say. Because when things start to change, it will be too late to go back and complain if those things were part of this plan all along. 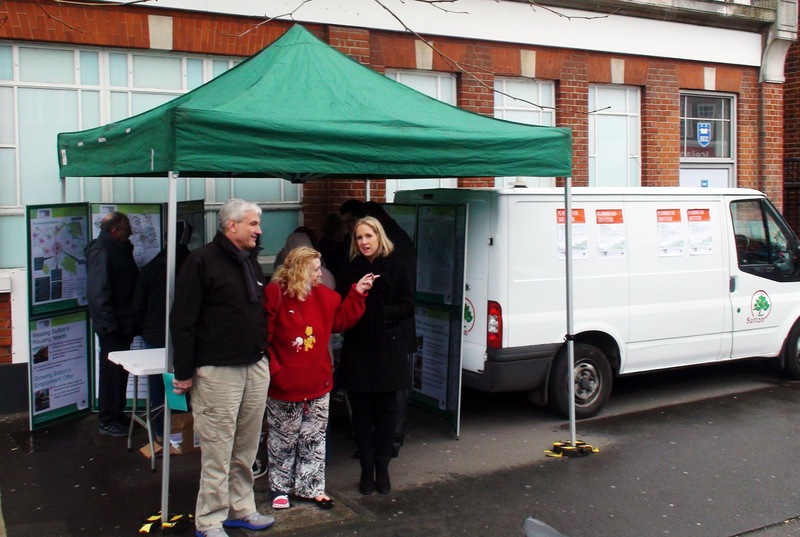 The display tent looked rather busy with lots of people wanting to have a look and ask questions. Which is good because that's what it's all about!